What's So Special About The Coach Duffle Handbag? - Fashion For Lunch. What’s So Special About The Coach Duffle Handbag? Y’all know I love talking about handbags, so today I want to focus on this little cutie… I’m talking about the Coach Duffle Bag! 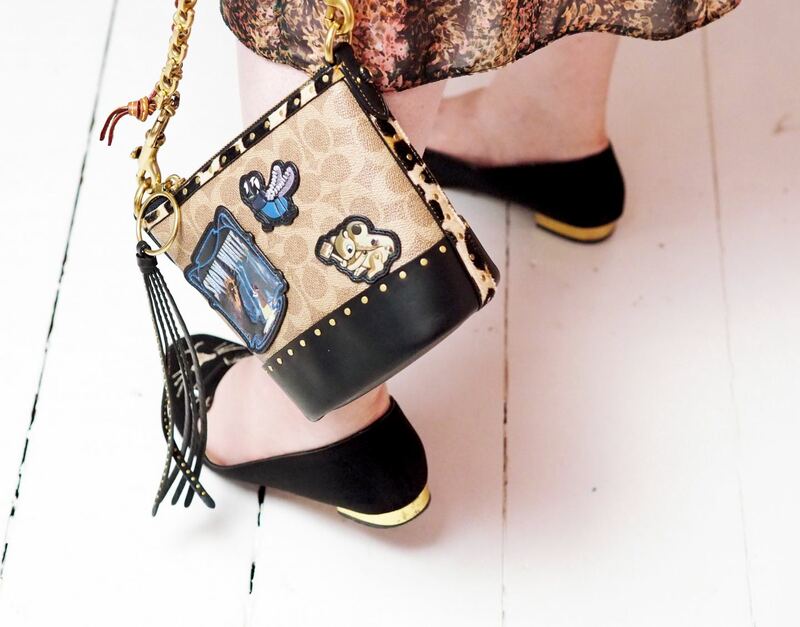 The version I have is from the Coach X Disney collection and it’s themed around Snow white, however, if this isn’t your bag (pun intended) this same duffle silhouette is also available in plain leather, in a variety of dreamy colours for summer. Oh and size wise, this is the Petite, but you can get bigger versions as well. There’s something for everyone! 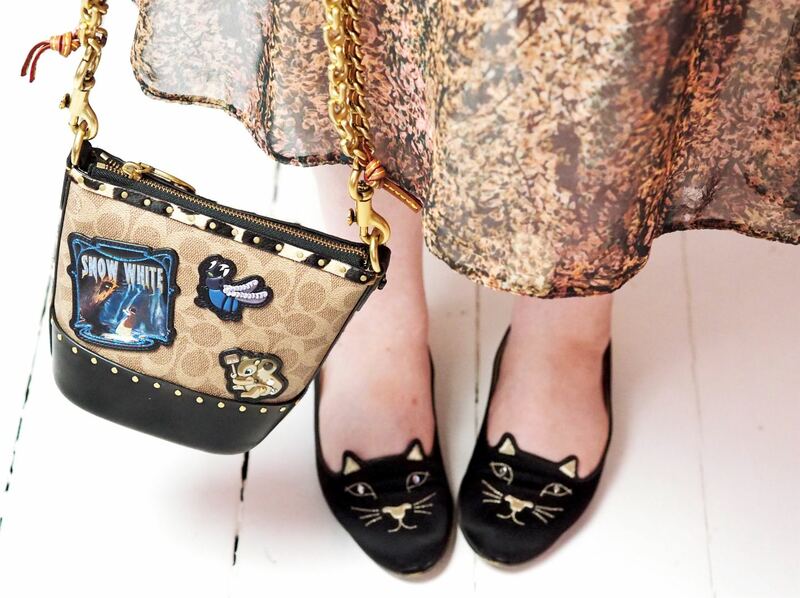 As I mentioned above, this handbag is from the Disney X Coach AW18 collection, which takes inspiration from Snow White and Sleeping Beauty, it’s got a darker theme than previous Disney collaborations, with poisoned apples, spooky castles, cartoon eyes, woodland creatures and rock ‘n’ roll fonts. It’s much edgier than you might expect and I’m loving it! 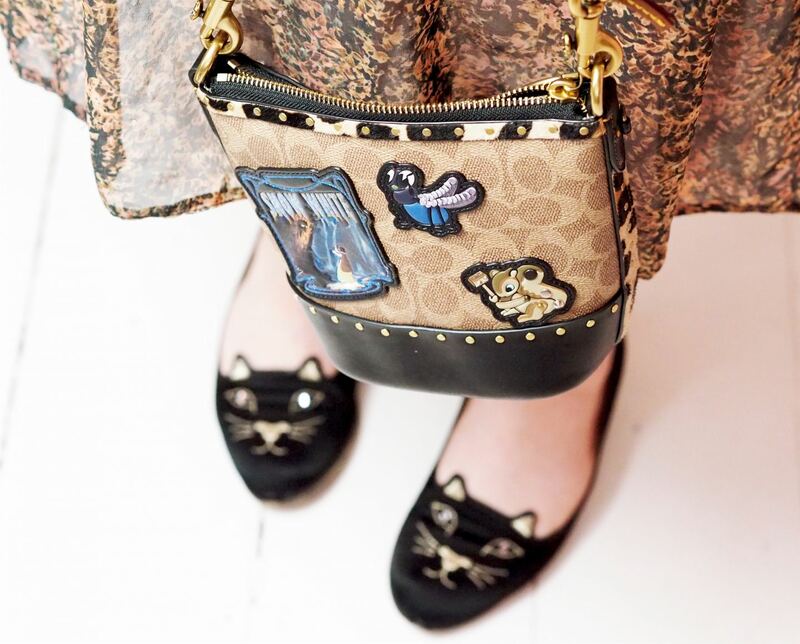 Anyway, this handbag is from the Disney X Coach AW18 collection, as is this super cool bag with spooky cartoon eyes all over, but if these aren’t your thing, you can also get the plain Coach Duffle bag in black, red, pale blue, white, tan… and so much more. My Coach Duffle bag has a different strap to most of the other Coach duffles, because it has a chunky double chain on the sides with a leather shoulder strap. However, most of the Coach duffle bags have a simple leather strap. This white one has a contrasting tan leather strap and this bag has rivets on the strap which also looks really cool. 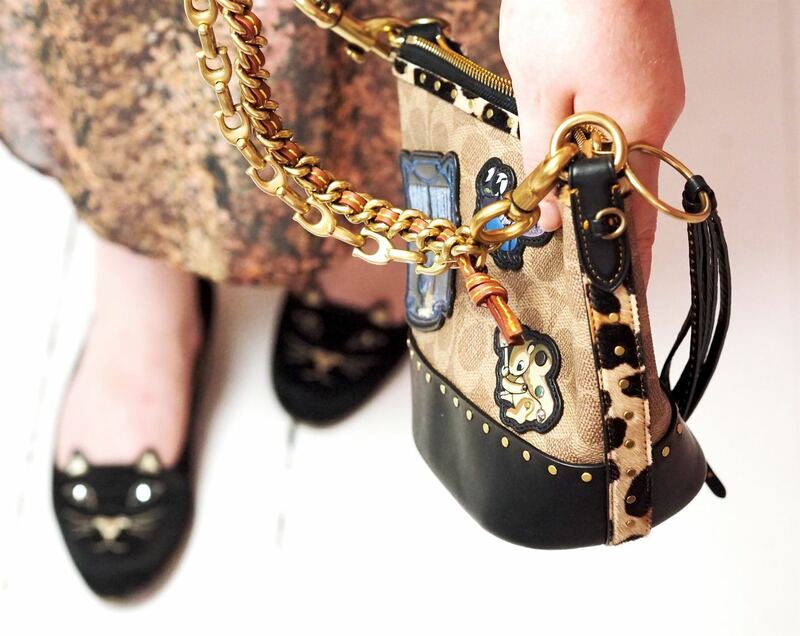 Just an FYI, my petite handbag is adorable but the chunky chain makes it a fairly heavy bag, the leather strap of the classic duffle would keep the weight of the bag down! Y’all know how I hate a heavy handbag! In one word. Flawless! The quality and cratmanship of this bag is FLAWLESS! The stitching is perfect, the chain and zip are made of chunky brass, the leather is thick and soft and all the detailing is perfectly assembled and sturdy. When it comes to quality. Coach nail it every. single. time! Oh and I would like to mention here, it’s quite rare to find a bucket bag-style bag with a zip, it still feels very bucket-like, but it gives you a little more peace of mind when it comes to security and I think it looks and feels a little neater than a regular bucket bag which can often bulge and sag in funny places and look a little wonky. So, the price of the Coach Duffle bag varies. Mine is the Petite size, but it’s got a lot of detailing going on, so the retail price on my Disney X Coach bag is £375. There’s also a beautiful and really minimalist blue version (in a larger size to mine) for £297 and this classic sized tan version for £475 and this similar one with added rivet detailing for £495. So there are plenty of amazing options, no matter what your style or budget is. Honestly, for a luxury handbag, this is a steal, especially considering the incredible quality and timeless design. Super cute! I have a Coach bag. It’s one of the reversibles. I can put everything in it. I love it! I have been worried that Coach is not as popular now a days and maybe I made a fashion mistake by purchasing it. I see Louis Vuitton’s everywhere I look. But I can’t afford a $1000+ bag. Not in my budget.